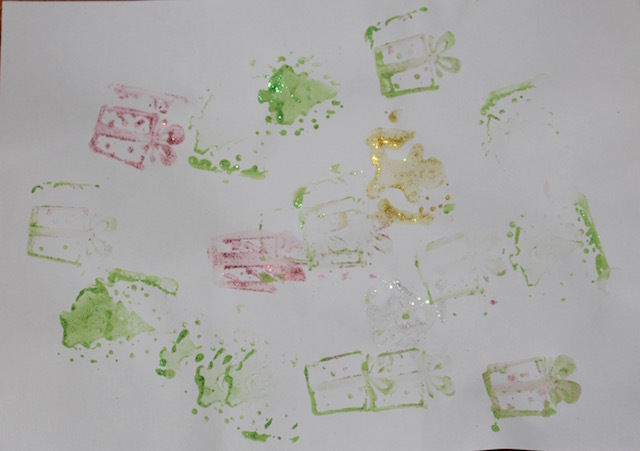 We cracked out the Christmas glitter paint and foam Christmas stamps to make some festive art. 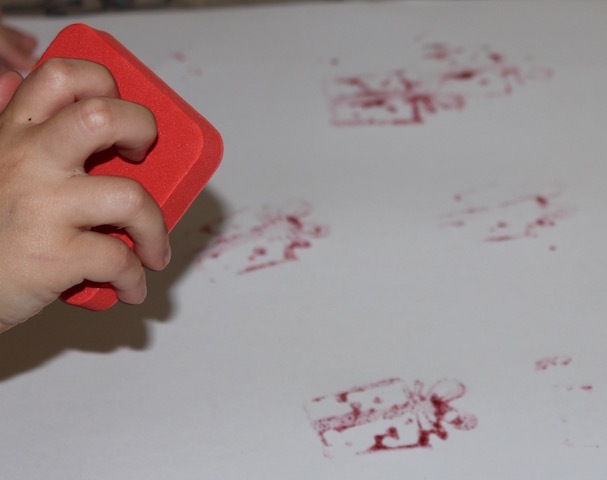 Usually I would put the paint onto sponges so that the stamps don’t get overloaded with paint. 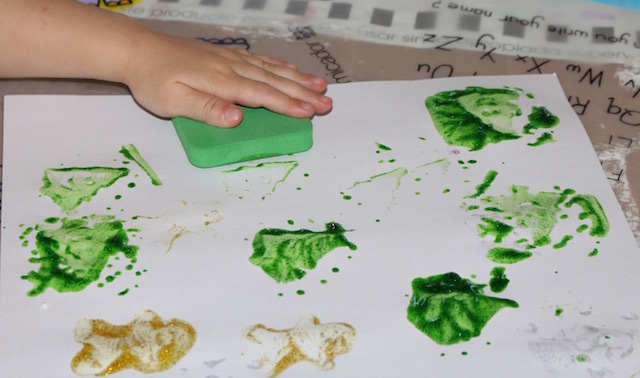 Unfortunately we were out of sponges, so some of the pictures were a bit gloopy, but they still look nice. And importantly the kids had fun!